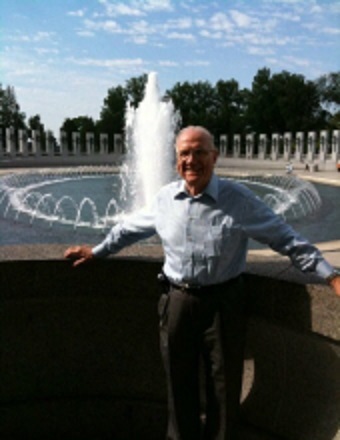 Thomas Archer Stephens, 97, of Idaho Falls, ID, formerly of Mt. Pulaski IL, passed away on Sunday, September 2, 2018. Tom was born on October 7, 1920, in Decatur, IL to Harry Mayo and Freda Annis (Archer) Stephens. He married Wyvona Price on December 1, 1943. He later married Mary Nixon, and then Waneta (Febus) Milner on July 15, 1989, in Mt. Pulaski. Wyvona and Mary preceded him in death. Tom is survived by his wife Waneta, two sons, Jeffery Stephens of Anaheim, California and Benjamin Stephens of Idaho Falls, Idaho, one daughter, Kathleen of Groveland, Florida, one stepson, Harry Milner of Sherman, Illinois, and one stepdaughter Lisa Brown of Mt. Pulaski, 28 grandchildren, and 9 great-grandchildren. Tom was a member of the Mt. Pulaski Christian Church where he served as a trustee and was very involved with the Family Life Center. He was a master mason and belonged to the Mt. Pulaski Masonic Lodge, where he received his 60-year pin. He was a member of the Mt. Pulaski Historical Society and a very active member of the Mt. Pulaski VFW Post #447. Tom was a patriot and very proudly served in the United States Army infantry during WWII, and was a lifetime member of the NRA. Tom was known for his skills to build, fix or figure out how things worked. He was an open-hearted, generous man and always utilized these skills to help others. Tom spent his last two years in Idaho with his son Ben where he loved driving the cart while Ben played golf, keeping score and commenting on his shots. The family would like to thank the staff of Fairwinds of Sandcreek who took loving care of him. Services for Tom will be at 10:00 A.M. Wednesday, September 12, 2018, at the Mt. Pulaski Christian Church. Visitation will be from 4:00-7:00 P.M. Tuesday, September 11, 2018, at the Family Life Center in Mt. Pulaski. Burial will be at Macon County Memorial Park in Decatur where full military rites will be accorded. Memorial donations may be made to Mt Pulaski Christian Church, The Family Life Center. Fricke-Calvert-Schrader Funeral Home in Mt. Pulaski is entrusted with the arrangements.